Leviton 2-Pole, 3 Wire Grounding Outlet. 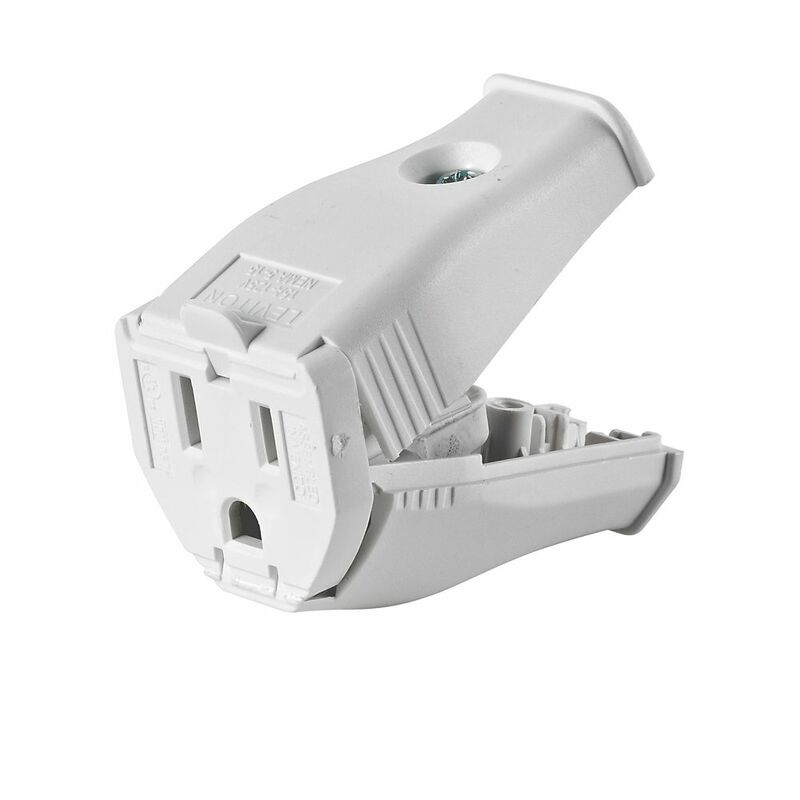 Clamptite Hinged Design 15a-125v, nema 5-15p, White Thermoplastic. The 715W wired push button features a white finish with a white, lighted center bar. This push button is mounted to the surface of your doorframe or exterior wall. It requires no additional holes to be drilled, and sits flush on the surface it is mounted to. The Python <sup></sup> High-Visibility Connector features a tough high-impact body, a hinged design which delivers fast, easy installation, as well as triple-drive screws for easy wiring-Standard, Philips, Robertson. 2-Pole, 3 Wire Grounding Outlet. Clamptite Hinged Design 15a-125v, nema 5-15p, White Thermoplastic. The Leviton line of residential plugs and connectors has been expanded with the addition of a grounding model available in four colours: Black, Gray, Orange and White and our best-selling 515PV and CV in Orange. Leviton Plugs and Connectors are rugged, easy to wire and feature brass plug blades and connector contacts for maximum conductivity.